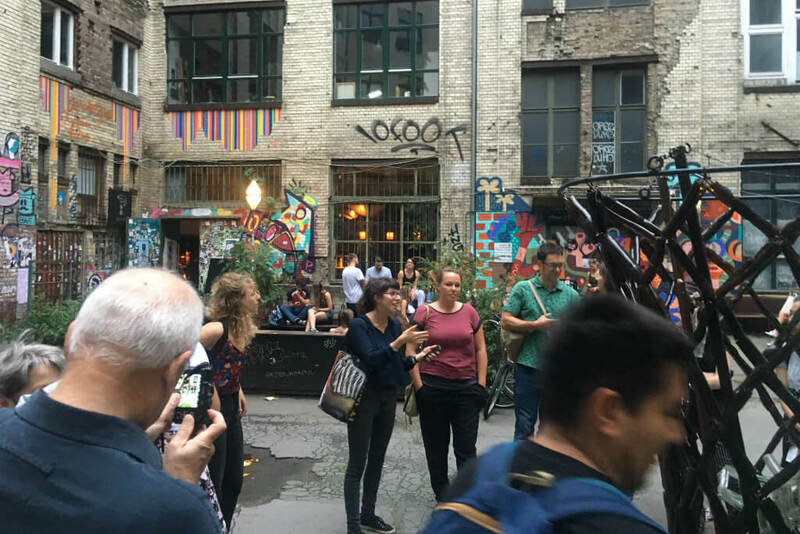 ​​Come with us as we take you on a Circular Economy Tour through Berlin's upcoming Wedding neighborhood. After years of being the 'underdog', Wedding finally lives its moment! Colorful, artsy, charming, full of surprises, unmissable - and home to visionary thinkers and circular changemakers. This tour is a great chance to get an overview about the Circular Economy movement in Wedding, meet a diverse range of circular projects in the area & look behind the scenes of their inspiring work. Re-use, reduce, recycle: Together, we’ll knock on the doors of sustainable transition spaces, urban farmers, guerilla gardeners, circular designers and passionate food-savers, visit workshops and ateliers, a glimpse into alternative upcycling concepts, learn about the future of food and take a sneak peak into Berlin’s hand-built hub for social, cultural and environmental change. We explore the area mainly by foot - so wear comfy shoes and leave the high heels at home. Here we also use a bit of public transport to maximize the time with our changemakers. You therefore need a valid BVG ticket.